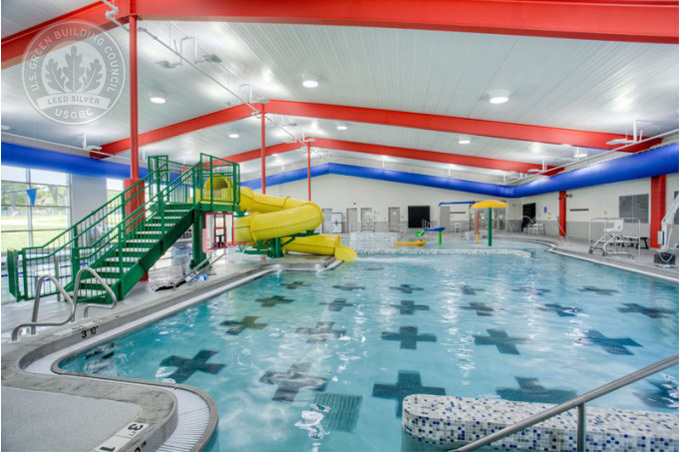 A 14,000 square-foot, indoor swimming pool for the Springfield – Greene County Park Board. This building consists of three separate pools including a lap pool, a recreation/exercise pool and a hydrotherapy pool. In addition, support space for the pool includes locker rooms and a lobby. The HVAC system incorporates a specialized pool room dehumidification unit with internal heat recovery that can be used for free reheat of the air or free heat for the pool water depending on the need. Plumbing fixtures were specified for efficient use of water and energy efficient water heaters were incorporated in the design. Efficient lighting and automatic controls were used throughout the project. 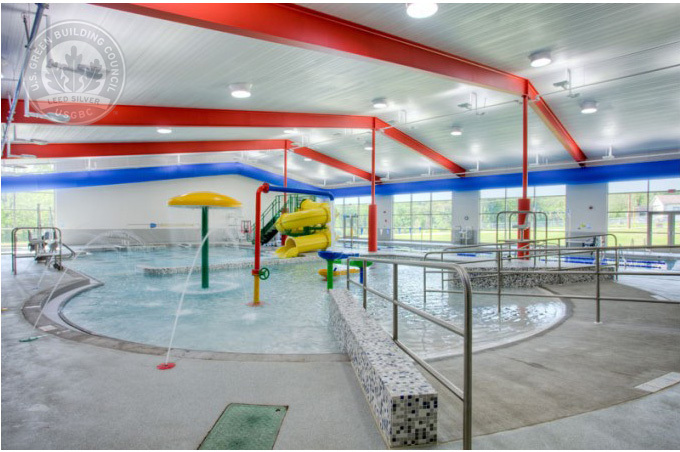 LED Light fixtures were used in the natatorium as an indirect source to reduce glare. They are positioned around the perimeter of the pools for ease of access. Skylights and windows enabled the use of daylighting controls which automatically reduce artificial light levels when sufficient natural light is present. This facility has been awarded LEED Silver certification by the USGBC. The project was completed in early 2013.